The gap between mobile consumers and online surveys is increasing. Now is the time to bridge it. Making surveys ‘Mobile First’, so they can be conducted on mobile devices or any other device people prefer to use, is the only way we can ensure that the data will still be valid in a year’s time. When Samsung announced last year that it would stop selling laptops in Europe, the reaction from the industry wasn’t one of surprise. Forbes even greeted the news by calling laptops “increasingly irrelevant”. The data analysts at Experian recently found that 53 percent of emails were read on devices other than PCs. This corresponds to Kleiner Perkins Caufield Byers’ (KPCB) 2014 Internet Trends report stating that the world has 2.04 billion smartphone and tablet users, and only 1.53 billion laptop users. 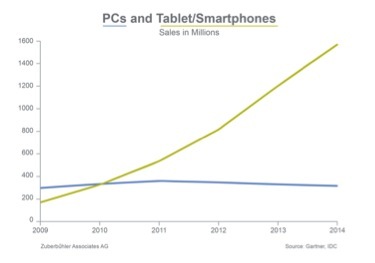 It was only a few years ago that PC sales were still soaring, but KPCB have reported a huge 80 per cent increase in mobile and tablet use since 2013 (see diagram) – highlighting just how fast consumers are migrating away from traditional computers. If we look two years into the future, the landscape will have changed even further. 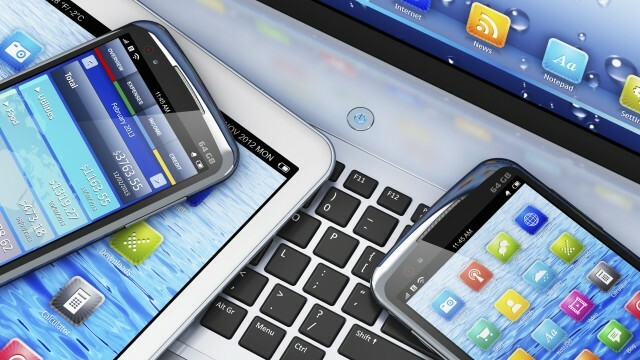 By 2017, we estimate that 87 percent of connected devices will be smartphones, tablets, or a hybrid of the two. So why, then, do so few current surveys allow respondents to successfully participate with mobile devices? The majority of quantitative consumer research in Europe continues to be conducted via online surveys that respondents complete on their PCs. Even though mobile surveys have for some time been touted as the future for market research, actual survey behaviour has remained stubbornly PC-only. Some researchers argue that they need to remain PC-only to keep data comparable across time. Other researchers have just been doing the same thing for years and don’t consider the incentives to change to be compelling enough. But with the mounting evidence to suggest that PC-only research is a thing of the past, it’s time for them to re-examine their views. In the last three years, the number of different types, shapes and sizes of mobile device that people use day to day has exploded and this is likely to continue as technology advances. Any research that relies on a specific type of device will therefore quickly become obsolete as target audiences move from device to device. The only viable solution is for research to go device agnostic, using ‘Mobile First’ surveys taking into account an optimal experience on mobile devices, and allowing respondents to use any device they happen to own. This becomes increasingly relevant when looking at younger generations, where for example, approximately 50% of new joins to the Mysurvey UK panel who are under 44 years old sign up using tablets and smartphones. Any researcher will know that the foundation of market research is having a representative sample of the target audience. If a researcher insists on limiting the people they can interview to those with PCs, over time the sample would become more skewed to a particular type of person and less representative of their target. Imagine insisting that people need to have access to an Acorn BBC Microcomputer to qualify to be interviewed. Not long from now, insisting that people have access to a PC will seem equally ridiculous. Telephone interviewing in the US faced a similar situation but today it is inconceivable to recruit only people owning a landline and expect to obtain a representative sample including younger people. One year from now, avoiding a selection bias in PC-only surveys will require a comprehensive effort (and cost) to find certain audience segments within the remaining minority of PC-only users. No matter any other arguments for or against mobile surveys, then, the escalating selection bias and cost consequences have to clinch the case for making surveys ‘Mobile First’ – and for doing it now. The consumers we survey even express an explicit desire to be able to answer surveys on whichever device they are using, meaning that surveys that can be taken on any device will provide greater sample sustainability. Between a quarter and half of new panel sign-ups now happen via mobile, and the proportion is rising rapidly, according to our latest figures. These mobile panellists often tell us that they are disappointed when they find that a survey doesn’t work on their mobile and they are forced to find a PC. Collecting data using mobile devices can also offer exciting new opportunities for researchers. Mobile surveys can, for instance, often be obtained faster than PC surveys, and can offer researchers immediate feedback from consumers on the move. They can capture more data in real time, and augment survey findings with additional information such as location and even physiological responses, which can be directly linked to survey findings. Allowing for surveys to be taken on different devices also enables surveyors to capture a more varied mix of moods and mind-sets among consumers. When they are able to answer questions on the move, or during parts of the day or in places where they don’t have access to a computer, consumers can give researchers a more rounded picture of their attitudes and opinions. As for keeping research data comparable, the evidence of mobile surveys so far suggests that when a brand survey is optimised for a variety of devices, the data collected varies little by device used. 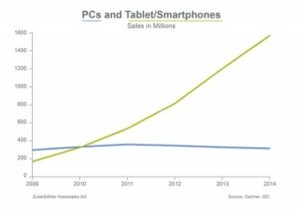 This is a promising sign and a rebuttal to those who fear that changing from PC-only will affect data quality. The most important thing for any researcher is to secure valid results. With the changes we are seeing in consumer behaviour, ‘Mobile First’ surveys will be the only way to ensure this in the future. One year from now, we estimate that the selection bias from PC-only surveys will be so significant that it won’t be viable for most target audiences. This means that statements such as “9 out of 10 recommend this product” would have to have to include so much small print about the sample limitations there would be no space left for the brand name. Forbes called the laptop “increasingly irrelevant” last year – it’s now up to the research industry to avoid being given the same label by starting the transition to ‘Mobile First’ surveys without delay. © 2015 Marsad Consultancy | All Rights Reserved.